You may not believe that inspiring and powerful powerful people are all around us by looking at news and media headlines, but when we cast our gaze around our communities and see the work everyday people are doing to improve people’s lives, we start to see a different picture. Take Dr. Patricia Murugami, for example. 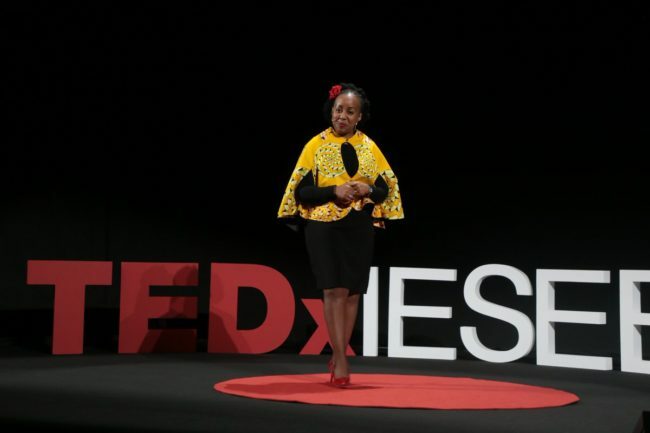 This dynamic change-maker and TEDx speaker has a resume that reads like something that has been accomplished by 10 people, yet she has been steadily working to change the lives and empower women across Africa for many years. Her journey into leadership began while working in the world of finance. While working as an auditor, she couldn’t help but take notice of the very male-dominated world she was working against. Patricia started investigating the high potential of women in the organization she was working in- all of whom weren’t getting their voices heard, and weren’t progressing in the roles they had been given. 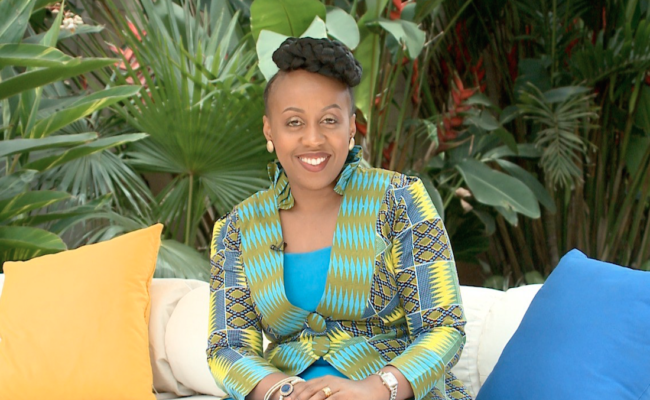 Since then, Patricia has channeled her personal experiences to single-handedly launch 15 leadership programs for women, which all aim to inspire and elevate women, professionally and personally. 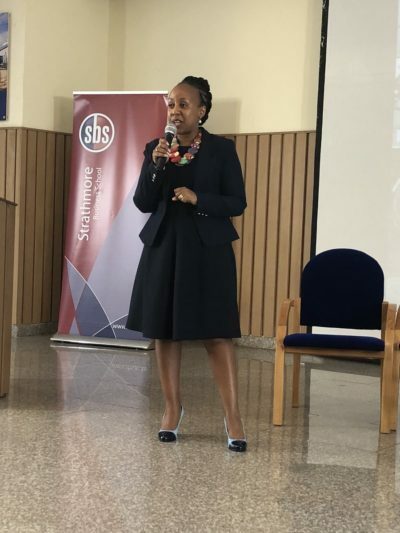 She has also catalyzed the growth of another 10 leadership programs across East, West and Southern Africa, and especially in her home country of Kenya. In 2018, women in Kenya still have limited access to education, employment and land. Crucially, women are still generally underrepresented in decision-making positions. In 2017, women made up just 21% of the National Assembly and Senate, meaning Kenya is falling far short of its own constitutional requirement of 33%. The situation is gradually improving, but things are far from ‘fine’. In 2010 a new progressive, rights-based constitution came into effect in Kenya. These new rules provide the legal framework for the government to fulfill basic rights, and for marginalized and vulnerable groups, especially women and children, to claim theirs. This new constitution marked a new beginning for equality in Kenya, and in the past eight years has attempted to transform the almost institutionalized exclusion of women, to promote their full involvement in all aspects of growth and development. Alongside the constitutional progress, it’s the people of Kenya who are raising morale and helping to shape the attitude of women who feel discouraged by the oppressive society they live in. One of these inspirational people is Patricia and her every action proves that she is just that. 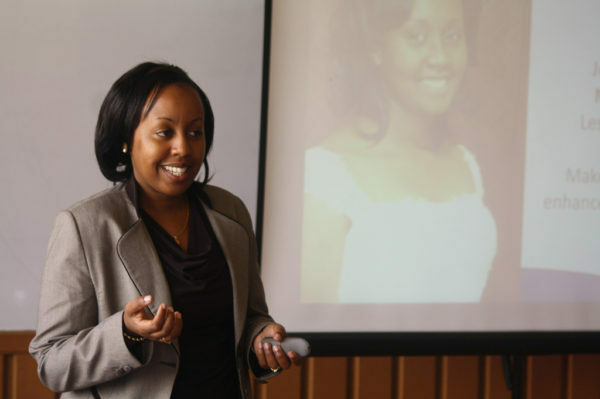 She recently completed her DBA in Leadership and Management at the International School Management, earned her MBA in Strategy and Marketing from University of Nairobi prior to that, and today runs a consulting practice called ‘Breakthrough’ which helps mentor women step into their power and rise up to positions of leadership. We wanted to speak with Dr. Murugami to learn more about her work, and how she is empowering women around her to find their potential. Tell us where you started in the world of finance and how the male-dominated environment influenced your daily life? After progressing up the corporate ladder in your own career, you identified key ways that women are being held back and how they can succeed. Can you share some of your wisdom with us? There are several ways that women are being held back. From my personal experience, the experiences from my coaching clients and networks as well as from my doctoral research they all seem to be pointing to 3 key barriers. The first barrier is the set internal barriers which are based on individual perceptions, lack of confidence, lack of clarity and courage, fear of failure and the inability to integrate personal life and work. The underlying barrier has been seen to come from women holding themselves to an unfair high standard and then perceiving other women from the same lens. Overcoming this barrier requires deep self -awareness, self-acceptance, self-compassion and self -leadership. This can be achieved through several ways: leadership development programs to sharpen the skills of leading effectively, mentorship through multiple mentoring opportunities, coaching for transformation, reading widely to learn new ways of working as well as strategic networking with other professionals to engage in elevating and enabling conversations and projects. To become courageous, one must just try and raise their hand to contribute and have an impact. The second barrier is that the professional landscape was designed by men and as a result there is a male unconscious and conscious bias against female professionals. For instance, in some public offices, they were designed without a female washroom which meant that they had not anticipated women to be working outside of the home. In multiple instances, male leaders have acknowledged that the systems were designed to enable men to work effectively and they now need to adjust and reshape those systems to be more inclusive. Overcoming this barrier can only be done through raising awareness of the male and female leaders. Leadership growth programs such as unconscious bias, inclusive leadership as well as mentorship circles that include both men and women enable open discussions about the challenges faced by both. Leadership sponsorship by senior men of high potential female leaders is a proven global solution that future thinking corporates are instituting formally in their career development and business processes. The third barrier is culture which is made up of the patriarchal nature of many societies as well as the multiple bind which women experience because the standards they are held to are unfairly high standards. A woman is expected to be excellent at home, work and in the social spheres and as such she is constantly trying to integrate all these aspects, sometimes without knowing how to ask for help. Negative Culture is made up of unfair practices such as some traditional rites of passage such as FGM, wife inheritance and other practices that we have seen in Kenya as well as other African countries. Another cultural effect is that the male identity was one of being a hunter, gatherer, provider and protector. With the onset of women working and contributing to the provisions of the home (and in some cases, earning more than their husbands), the men have begun to experience a loss of identity and are seeking interventions to learn how to cope with this new- normal of women in the workplace and in leadership without losing their identity and contribution. Unfortunately, we have recently seen an increase in men who are struggling to cope and turn to addictions and depression or become complacent and decide that the woman can contribute fully without their input. This has turned into painful experiences in some homes and families. Overcoming this barrier will require courage to redefine the new normal without diminishing the role of men and women. Leadership development programs to enable men not feel emasculated, as well as growth programs to enable women rise up without pushing down men or other women but learning to be authentic, wise and use their feminine genius are critical. Role models who have managed the changing landscape need to share their authentic stories and describe their struggles and successes to encourage the leaders who are coming behind them. 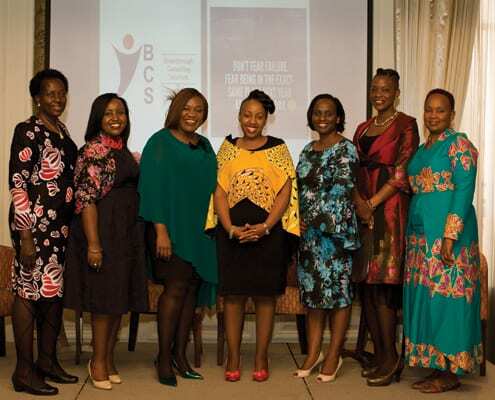 You have been credited with launching 15 leadership programs for women across East, West and Southern Africa. How have these programs been received by women in these areas, as well as by the men they work with? I have been excited to see the impact of these programs which are not affirmative action programs, neither are they male-bashing programs but are instead holistic, inclusive leadership programs that we developed to ensure that women leaders got to know themselves, got to appreciate their feminine genius and how they can wisely raise others in their environment while undertaking their roles in the home, workplace and society. The intention of these programs is to enable the women in leadership who graduate to be more integrated, achieve unity of life which is the ability to be consistent in all spheres of life. In. fact in some cases, their male colleagues and bosses have seen such a dramatic change that they ask us to develop a Part 2 so as to continue experiencing the high return on that investment. While there is still a long way to go in terms of reaching gender equality in Kenya, a major constitution change in 2010 saw new rights for women and children especially. How has this new legal framework influenced the work you do, and the landscape of women in leadership in the country? The focus on women in leadership with the new constitution has contributed to more opportunities for women to work and lead in both public and private sectors. This has given us more scope to deliver solutions for the challenges above as well as enable organizations to lead with a more diverse and inclusive attitude. The focus on also increasing women serving on boards competently has also enabled us to develop more women to be board-ready. This is because numerous studies have demonstrated the higher returns on investment when the board has three or more competent women serving due to the diversity of thought, long term perspectives and inclusive lens of viewing decisions made by the organization from multiple stakeholders perspectives. More women have registered businesses and are striving to improve their business processes so as to take advantage of the benefit of doing business with the Government of Kenya as 30% of government spending has been allocated to women, youth and people with disabilities. You gave a TEDx Talk in April 2018 where you spoke about your unique brand of leadership. The two key aspects that stood out to us were how you emphasized the need for women to “harness their feminine power” and that motherhood should be viewed as a positive leadership experience. Can you tell us more about this? The idea I shared was based on a leadership formula I developed known as the Four-dimensional leadership formula: G=RH4. The idea is that we all seek integrated growth but sometimes we don’t know where to start. H1: The idea is to start with raising the heart which means knowing yourself and reducing blind-spots through introspection, growing in emotional intelligence and developing clarity, confidence and courage. This for women especially leads to confidence to follow their goals and to integrate their skills learnt in the school of the home and family and use them in the workplace and vice versa. This is where humble and impactful positive feminine power arises from. H2: Raising the head means adopting what one of my mentor calls a permanent learning posture (PLP) and learning from experience as well as from reading wisely and widely. This contributes to mindful competence rather than intellectual arrogance. H3: Raising the hand requires us to raise our hand to contribute ideas and actions but at the same time to use the other hand to raise others. When women raise others (as we are naturally nurturing) without feeling insecure, the culture and atmosphere at work and home respectively changes for the better. This can be learnt from the natural motherhood experience where women with devotion raise other human beings from conception to adulthood. H4: The last H is raising oneself for a Higher purpose which relates to the divine unique assignment or cause that each of us is placed on earth to contribute to. My hope is that this formula gives women and men the ability to keep growing on the four dimensions and to make the world a more human and humane world as a result. For women who are disadvantaged because of their financial status, lack of education or lack of opportunities, how can you empower them to reach for their goals despite their circumstances? These women are actually the majority, unfortunately. There are two key ways I would propose to enable them to rise up beyond their circumstances. Firstly, I would encourage them to refuse to have a victim mentality but to look within and see what they have from within and how that can start to solve their challenges. This can be done through mentorship and growth sessions and in sharing authentic stories of failures and successes. Secondly, I would work with larger organizations to enable their ideas get heard and to then find solutions for them to learn how to get out of their challenges rather than rely on aid. The use of social media to share these ideas is another way to do so. 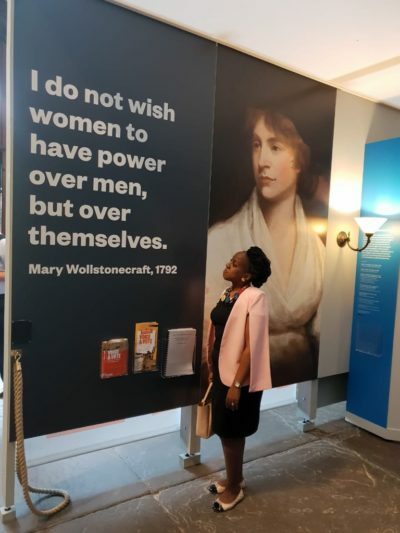 There is still some fear in general society about women rising to positions of leadership, where people think women are trying to “overtake” men to get to the top. Can you speak about this misnomer, and why it is important for women to have a seat at the table alongside men? This misnomer comes from a scarcity mentality where some people view opportunities as a win lose situation. I have also seen both women and men in leadership who are not aware about how to be transformational leaders seek to push down others out of their own insecurity. This misnomer can be eliminated by both leaders speaking about their experiences, aiming for a higher impact and adopting a growth mindset which results in a spirit of abundance. I like to say that we need to move from the ‘Bread mentality’ where the more we share a loaf of bread the less there is to go round and instead move to an ‘Ideas mentality’ where the more we share an idea, accredit the source and build it, the better the idea gets over time and with more people adding to it. Author and speaker Brene Brown is one of your personal heroes. What is it about her message that speaks to you so deeply? Dr Brene Brown’s message as shared in her viral TED talks, her bestselling books Daring Greatly, the Gifts of Imperfection and the one she has just released Dare to Lead have all inspired me to be myself and to own my authentic self -be it the good, the bad and the ugly. She has also taught me to be wisely vulnerable and to realize the difference between shame and guilt in the leadership and life experience. She, in a sense, has given me such deep insights on courageous living through her work and example. A question we like to ask all the women we interview: what makes you a powerful woman? What an excellent question! I have been encouraging women to own their power and it always surprises them when I encourage them to do so. What makes me a powerful woman is the painful process I went through of discovering the divine purpose of my life, the daily challenge of rising up to live my unique assignment and vocation in this world and the impact I see (and in many cases I will never see), of the effect of the work of enabling others to live their human and leadership potential as best as they can and in so doing become their next best self. My family of origin, my husband and children have been pivotal in enabling me grow as I enable them too and this anchors my power. I have come to know and believe that true authentic personal power is all about using one’s God given talents, gifts and experiences to enable many others realize their potential and live their best life honorably, courageously and fully.